Removing kittens too early to their mother can cause big behavioral disturbances in the kitten or even be fatal. You should know that kittens need their mothers in order to acquire the basics essential to their adult life. If weaning is done too early, it can lead to behavioral and emotional consequences. A kitten will begin weaning from four weeks to the age of eight weeks. It is advisable to wait this term in order to avoid disorders in your kitten that will leave irremediable sequelae. 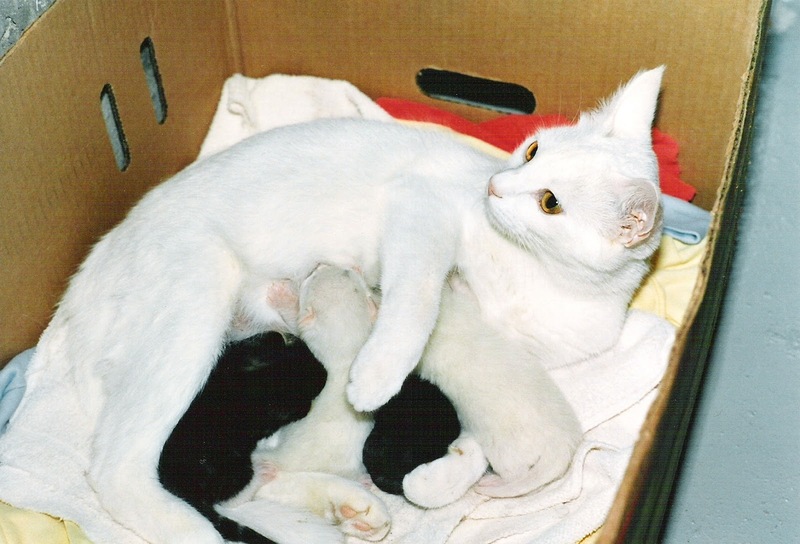 The kitten is completely dependent on her mother the first nine days being blind and deaf. During this first phase, the phase of impregnation of the kitten to its species takes place. Between his nine days and ten weeks the phase of development of his psychomotor and psychological abilities begins. This is an important time for the cat who will learn to socialize and communicate with his species. He will learn the game with his brothers and sisters, gauge his scratches and bites with his mother, not to mention the weaning of food. From 10 weeks to 12 weeks, the cat learns to become autonomous in turn. It is at this time that the mothers detach themselves from their kittens gradually in order to let them become adults. You will understand, the mother holds a primordial role in the growth of the kitten. Removing a kitten too soon from her mother will not help her know the basics that are essential to her learning life. The role of the mother is to open her kitten to the world so that she is able to grow with her species and human beings. It is the mother who enters the 11 and 14 weeks of kittens repel them in order to resume the course of her life. A phase of indifference then takes place where she ignores her kittens. Cohabitation between child and parent becomes complicated. 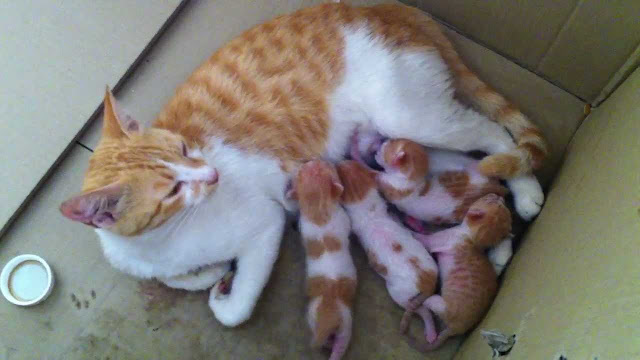 From birth, and up to four weeks, the cat feeds exclusively on the mother's milk. The cat is a driving force for the kitten who can not feed otherwise. During her learning period, the mother will help the kitten to grow, but especially to become independent to feed. The mother can no longer support the energy needs of her kittens from their fourth week. During the period of vicariance, the kitten will discover a new food based on croquettes designed especially for him. They are rich in proteins, minerals as well as vitamins and will ensure a harmonious growth. This new food must be appetizing in order to stimulate the kitten to return to consume. Early weaning can lead to behavioral problems that can occur throughout life. A kitten adopted too young may be unable to do his toilet and do his needs properly not having learned this with his mother. The kitten may have difficulty adapting with his species that has not been used to tame a community. It can also develop a strong agitation as well as an aggressiveness resulting in bites, scratches without limits, which are the signs of an early weaning. It will be difficult for the kitten to stay away from you, you will adopt the role of the mother for him. It will depend on you and will not flourish normally. If you notice significant behavioral problems in your kitten, you can talk to your veterinarian about a cat behaviorist. Have you ever experienced in this situation?